A wound contact layer with Safetac® technology on two sides preventing the outer dressing from sticking to the wound and ensures atraumatic dressing changes. 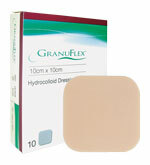 Can be left in place for up to 14 days depending on the condition of the wound which reduces the necessity for frequent primary dressing changes. 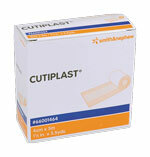 The porous structure of Mepitel allows exudate to pass into an outer absorbent dressing. Designed for both hospital and home care applications, individually wrapped in a peel-open envelope for sterility. An absorbent, calcium sodium alginate (80% Ca and 20% Na) with a high Guluronic acid content. When in contact with wound exudate, calcium ions in the dressing exchange with sodium ions in the exudate causing the dressing to transform from a dry, fibrous state to a firm, moist gel. 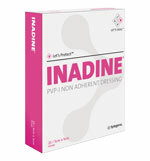 The dressing provides a moist environment helping to create optimal wound healing conditions and maintains its integrity allowing for easy, atraumatic removal. Lyofoam® Max is designed for the management of moderately to highly exuding wounds. Its high absorbency and fluid handling capacity combined with the reduced risk of maceration and leakage provide a longer wear time. Extra Absorbency: Aquacel® Extra™ Dressing is 39% more absorbent than standard Aquacel® Dressing, manage high exuding wounds and realise dressing efficiencies in moderately exuding wounds and post acute settings. 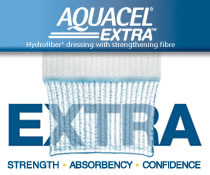 Aquacel® Ag Extra™ wound dressing is composed of two layers of Hydrofibre® Technology stitched together. 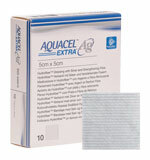 It is 9x times stronger and has 50% greater absorbency compared to the Aquacel® Ag wound dressing. 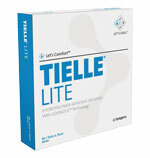 Tielle® Lite Dressing is a all-in-one adhesive dressing incorporating a non-adherent wound contact layer. It is indicated for management of low/non-exuding wounds at the final stages of healing as well as traumatic bleeding wound. Mesorb® is a soft, highly absorbent dressing that can retain large amounts of exudate. 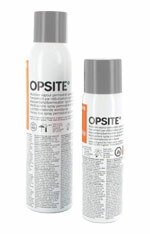 The fluid-repellent backing prevents external contamination of the wound and protects clothes and bedlinen from exudate strike-through. 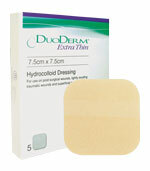 Wound exudate is absorbed through the wound contact layer and transferred into the cellulose pulp core of the dressing. The highly absorbent core absorbs exudate, and the breathable backing layer allows for moisture vapour transmission. The backing layer is folded over to the edges of the wound contact layer to minimise fluid leakage from the sides. Mesorb® is intended for use in moderate to heavily exuding wounds and can be used as a primary dressing directly on the wound or as a secondary dressing where high absorbency is required. 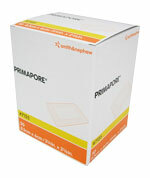 Absorbent pads for absorption of wound exudate and fluids, wound cleansing, wound dressing and general skin swabbing.